… going to the library book sale. 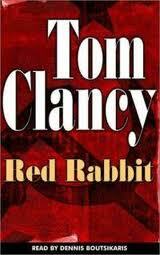 *Sigh* I know I should never have gone, but I’m like a person with a drug habit, with my drug of choice being books! This time I spent $7 and brought home 13 books (one of the books was an oversize paperback, for $1 while all the others were 50 cents each). Virgin Lies by Roderick Anscombe: One summer day, Boston forensic psychiatrist Paul Lucas gets a call from his social worker wife, Abby: A nine-year-old girl has gone missing. Paul, an expert interrogator, is called in to help evaluate the testimony of the only witness: a homeless woman who happens to be a paranoid schizophrenic. Further interviews with other possible witnesses go nowhere, frustrating detectives and calling into doubt Paul’s role in the case. Believing the girl is alive but soon to die, Paul is pushed to the brink of a professional abyss – harangued by local media, distrusted by police, and pressured to save the day by Abby, whose stake in the search becomes deeply personal. With time running out, Paul has to make a choice: to uphold the central oath of his profession or to do whatever it takes to find the girl – even if he must crack the mind of a vulnerable patient, and risk everything he has in the process. Father’s Day by John Calvin Batchelor: The year is 2003. President Ted Jay has invoked the 25th Amendment to the Constitution – Presidential vacancy, disability, and inability – temporarily transferring power to his Vice President, T.E. (Shy) Garland. But five months later, when the Chief Executive attempts to reclaim the reins of power, Garland refuses to step aside, setting in motion a bloody and ruthless plot that will tear America in two – and bring the most powerful nation on earth to the brink of a military coup. The Beekeeper’s Apprentice by Laurie R. King: In 1915, Sherlock Holmes is retired and quietly engage din the study of honeybees when a young woman literally stumbles into him on the Sussex Downs. Fifteen-years-old, gawky, egotistical, and recently orphaned, the young Mary Russell displays an intellect to impress even Sherlock Holmes – and match him wit for wit. Under his reluctant tutelage, this very modern twentieth-century woman proves a deft protegé and a fitting partner for the Victorian detective. In their first case together, they must track down a kidnapped American senator’s daughter and confront a truly cunning adversary – a bomber who has set trip wires for the sleuths and who will stop at nothing to end their partnership. The Bourne Ultimatum by Robert Ludlum: At a small-town carnival two men, each mysteriously summoned by telegram, witness a bizarre killing. The telegrams are signed Jason Bourne. Only they know Bourne’s true identity and understand the telegram is really a message from Bourne’s mortal enemy, Carlos, known also as the Jackal, the world’s deadliest and most elusive terrorist. And furthermore, they know what the Jackal wants: a final confrontation with Bourne. Now David Webb, professor of Oriental studies, husband, and father, must do what he hoped never to do again – assume the terrible identity of Jason Bourne. His plan is simple: to infiltrate the politically and economically omnipotent Medusan group and use himself as bait to lure the cunning Jackal into a deadly trap – a trap from which only one of them will escape. Twenty-Seven Bones by Jonathan Nasaw: There are twenty-seven bones in the human hand. 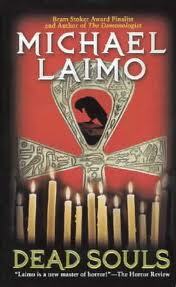 And there are three dead bodies on the island of St. Luke – each victim missing a hand. It’s the strangest, most disturbing series of murders the Caribbean has ever known – and one of the few crimes that could pull FBI Special Agent E.L. Pender out of retirement. In all of his years, he’s never faced such a diabolical underworld drenched in superstition. At the heart of this darkness is a husband-and-wife team with a perverse plan so powerfully consuming, so brilliantly evil, that Pender can only watch and wait … as the grisly hand of fate reaches out for its next victim. 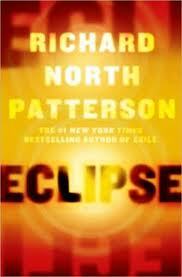 Eclipse by Richard North Patterson: Damon Pierce is a gifted California lawyer whose work is starting to seem soulless. Then, from out of nowhere, two life-altering events take place: First, Damon’s wife announces that she’s leaving him. Next: A woman from his past reappears. Damon could never forget Marissa Brand Okari, his one-time great love. Now, she’s in trouble … and Damon decides to do everything in his power to help her. Marissa’s husband, Bobby Okari, is a freedom fighter in a corrupt West African nation – one that’s being torn apart by global lust for its vast supply of oil. One day, during a solar eclipse, Bobby leads a high-profile protest rally against an American oil company … only to see everyone in his home village massacred by government troops. Already an enemy of the country’s savage dictator, Bobby is promptly arrested. Now it’s up to Damon to take on Bobby’s case and save him – and Marissa – from almost certain death. And risk his own life in the process. Chain of Evidence by Ridley Pearson: Detective Joe “Dart” Dartelli made one critical mistake in his police career: He chose to ignore a piece of evidence in a case labeled a suicide that may have been a murder. 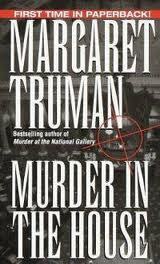 The dead man was himself a vicious woman-killer who more than deserved his fate, but that ignored evidence pointed to Dart’s former mentor, the brilliant forensic specialist Walter Zeller. Now another suicide victim turns up – the body of a wife beater – and the evidence clearly shows that the death was self-inflicted … or does it? Zeller was the best at reading and understanding the forensics of a crime scene – could he have manipulated it? Worse, why has Zeller disappeared? It terrifies Dart to suspect that Zeller is in fact on some twisted vigilante crusade, but Dart also knows that if he’s right, only he can stop it. 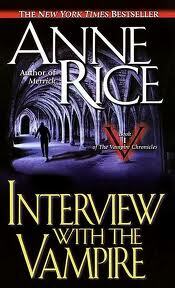 Interview With the Vampire by Anne Rice: This is the story of the Louis, as told in his own words, of his journey through mortal and immortal life. Louis recounts how he became a vampire at the hands of the radiant and sinister Lestat and how he became indoctrinated, unwillingly, into the vampire way of life. His story ebbs and flows through the streets of New Orleans, defining crucial moments such as his discovery of the exquisite lost young child Claudia, wanting not to hurt but to comfort her with the last breaths of humanity he has inside. Yet, he makes Claudia a vampire, trapping her womanly passion, will, and intelligence inside the body of a small child. Louis and Claudia form a seemingly unbreakable alliance and even “settle down” for a while in the opulent French Quarter. Louis remembers Claudia’s struggle to understand herself and the hatred they both have for Lestat that sends them halfway across the world to seek others of their kind. Louis and Claudia are desperate to find somewhere they belong, to find others who understand, and someone who knows what and why they are. Louis and Claudia travel Europe, eventually coming to Paris and the ragingly successful Theatre des Vampires–a theatre of vampires pretending to be mortals pretending to be vampires. Here they meet the magnetic and ethereal Armand, who brings them into a whole society of vampires. But Louis and Claudia find that finding others like themselves provides no easy answers and in fact presents dangers they scarcely imagined. The Doomsday Key by James Rollins: Commander Gray Pierce and Sigma Force have only days to solve an apocalyptic puzzle dating back centuries. Aided by two women from his past – one his ex-lover, the other his new partner – Gray must uncover a horrifying secret that threatens America and the world, even if it means sacrificing the life of one of the women at his side. The race is on – from the Roman Coliseum to the icy peaks of Norway to the lost tombs of Celtic kings – and the future hangs in the balance. For humankind’s ultimate nightmare is locked within a talisman buried by a dead saint – an ancient artifact known as … The Doomsday Key.